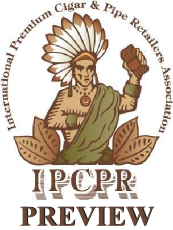 Starting Sunday, the 77th annual International Premium Cigar and Pipe Retailers (IPCPR) Trade Show will take place in New Orleans. StogieGuys.com will be on location to provide you with live updates as we sample cigars, get the details on new releases, and speak with dozens of cigar makers. Padrón is set to launch a new line called the “Reserva de Familia.” Featuring well-aged Nicaraguan tobacco, they will be releasing one blend annually in one size every September thereafter. Don Pepin Garcia is expanding its My Father line and debuting the Tobacco Baez SF, which consists of 70% long-filler and 30% short-filler to provide consumers with a lower price point of $3 per cigar. CAO recently announced it would debut a new brand called La Traviata, a full-bodied blend complete with an Ecuadorian habano wrapper, a Cameroon binder, and two different ligero filler tobaccos. Rocky Patel has announced three new cigars. One blend, called “Patel Brothers,” is a collaboration with Rocky’s brother, Nimesh. It will feature a Nicaraguan-grown binder and filler and an unusual Pennsylvania broadleaf wrapper. The other is the “Rocky Patel 1961″—named for the year Rocky Patel was born—which uses a blend of Nicaraguan filler, Honduran binder, and an Ecuadorian-grown wrapper. Also to debut is the Rocky Patel Corojo Especial which, like the Cameroon Especial that debuted last year, will be a bundled smoke. We also heard rumors that a 12th Anniversary cigar may be on its way. Oliva is introducing the new White Label Connecticut Reserve and launching Cain, an all-ligero cigar blended by Nub creator Sam Leccia. Toraño will be announcing the contents of their 50th Anniversary cigar as they roll out the line in a series of normal sizes. The Solomon size, which is featured in the Exodus sampler, won’t be part of the regular line. Tatuaje will debut the new La Verite cigar lines. La Verite, which means “the truth,” will be a Churchill and available in April 2010. It will be offered in cabinets of 100, broken down into smaller boxes of 10, 25, or 50, and retailing for approximately $25 per stick. The other, L’esprit de La Verite, which means “the spirit of the truth,” will be a robusto and available in December 2009 at a retail price of around $13 apiece. We reviewed a pre-release of the L’esprit de La Verite here. Camacho recently announced that it has teamed up with LA jeweler Matt Booth to create “Room 101 Cigars,” a Honduran-Dominican blend that will debut at the show. Padilla is set to release two new cigars in August. Padilla Dominus, made with 2006 corojo tobacco, will be a new premium blend ($8-15). Meanwhile, the Padilla Cazadores, made with an Ecuadorian habano wrapper and Nicaraguan binder and filler tobaccos, will be a value-oriented smoke that will cost around $5 each. Illusione is teaming up with Drew Estate to make a new release called “Nosotros.” It will sell for $8-12 apiece and feature a Nicaraguan corojo ’99 wrapper, a Nicaraguan filler, and a Connecticut habano binder. Alec Bradley is set to release four new cigars (though some appear to have already begun landing in cigar shops): the SCR, Family Blend, Vice Press, and Mudial. Nestor Miranda is expanding on the newly re-blended Nestor Miranda Collection including a lancero and a rosado version of the Ruky perfecto. The company will also be releasing reblended versions of its Don lino 1989 blend in three sizes: a torpedo, a robusto, and a Churchill. EO Brands, makers of the 601 line and Cubao, will be launching new releases. The Cubao Maduro will feature a similar blend to the original Cubao line, this time with an Ecuadorian broadleaf maduro wrapper. The Murcielago contains a blend of Nicaraguan and Mexican tobaccos. Perdomo Cigars has announced two new smokes. They will be releasing a tubo version of the 10th Anniversary Champagne smoke and also a new Grand Cru Connecticut. G.A.R. Cigars is releasing the G.A.R. Vanguard, a Nicaraguan puro with plenty of ligero tobacco. They will also debut a new limited size (6 x 66) of the Gran Habano Corojo No. 5 blend called the “Czar,” and a Gran Habano No. 5 Double Maduro featuring a San Andreas wrapper that is due out in November. Arganese Cigars will be releasing a CL/ML double-wrap cigar, based on the CL3 and ML3 lines. We’ve also heard rumors they are set to launch a “double cigar” that will be two cigars with one wrapper twisted and connected at the head. The idea is to help enthusiasts avoid SCHIP and other cigar taxes by selling two cigars in one. Casa Magna debuted at last year’s trade show and became a big hit when Cigar Aficionado named it the “Cigar of the Year.” This year, the company is adding the Casa Magna Oscuro and a new large vitola to its regular Casa Magna line called the Extraordinario, which measures seven inches with a 58 ring guage. Some of the biggest names in cigars, including industry giants Altadis and General Cigar, haven’t announced their new releases yet. Be sure to check back with StogieGuys.com for updates. Will the Illusione called "Nosotros" come in a Jane's Addiction "Ritual de lo Habitual"-esque box complete with Perry Farrell saying "here we GO" when it's opened, like those crafty Hallmark cards with songs in them? Tatuaje will also be releasing a Verocu Tubo (east and west coast blend), as well as Tatuaje Black Tubos. Looking forward to the releases from Tatuaje, Padron, Illusione, and Quesada. #1 on the list is the Nosotros. I love Dion Giolito's cigars and DE's production quality is excellent. My local B&M (Burns in Chattanooga) had the Casa Magna Extraordinario and two of the Alec Bradley new releases (SCR and Family Blend) last Friday. I smoked them all in one marathon session. The SCR and Family Blend were pretty awesome, the Casa Magna was less-so, but it was my third smoke in a row, so I owe it another shot. On the Oliva Connecticut, it's strange that they are "introducing" it at IPCPR being as it's been available for about 3 months. Are they expanding the line with new sizes? Just wrapped up an interview with Arturo Fuente Jr. He said you can expect to see some new sizes in their standard lines. They are expanding the Flor de Ybor City line (a line made for his company Tampa Sweethearts Cigar Company). There will also be a King T and he mentioned that a Queen B would be on the horizon. I am a local new england guy and I was in one of my favorite shops the other day. I was given a free unbanded cigar by owner of the shop. I smoked it in the back of the store and it was outstanding! I asked the owner what it was and he said its the new La Leyenda by El Tiante. I love his Corojo smoke, lets just say I have a new love now.